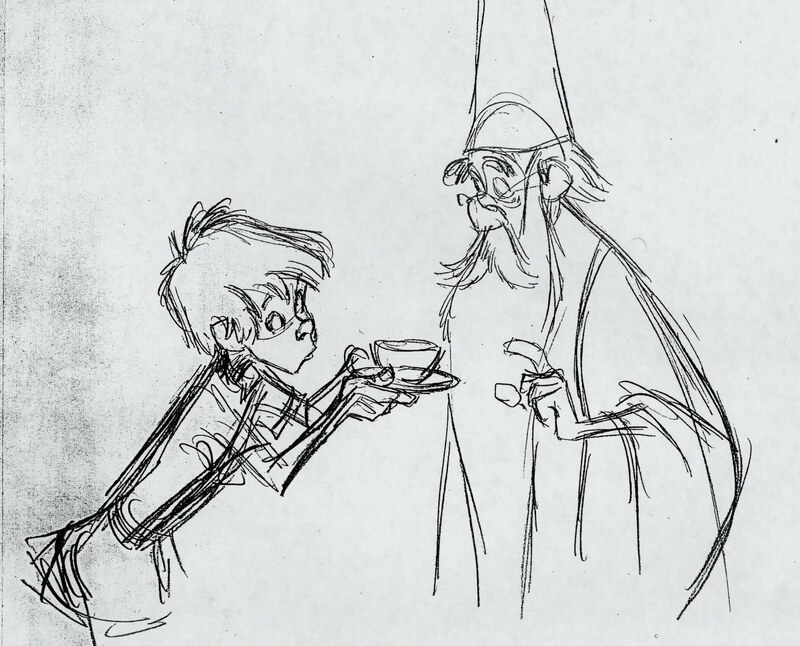 Animators are the ones that throw the switch; the ones who make an audience forget that they are animated characters. The most important thing is to try and find the truth. But you can’t do this by “method” animating. You can’t be in the moment for the length of time it takes to complete a scene. Actors do, while animators describe. When you act out a scene, it’s important to remember that it is your body you are acting with, not your character’s. Your character can do things your body can’t (and is probably better at them as well). 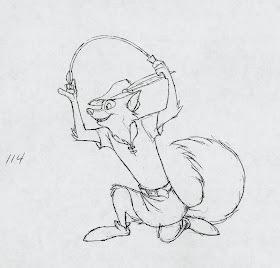 Bill Tytla was the first animator to take acting in animation seriously. Stanislavsky was the one who focused actors more on their preparation rather than on acheiving results. Method acting is the process of moving away from thinking about what you are going to do in a scene and instead, focusing more on what you need to do to prepare to make the scene honest and true. In this way, you allow the spontaneous to happen. Meisner believed it wasn’t enough to rely on a sense of memory - that your memories were inadequate for the task of acting. • How does a character move physically; what sets them apart from others in the same film? • Best way to stage a scene. Consider the correct angle to sell an emotion. In CG, it’s easy to lose the point of a scene behind all the lighting and rendering. • Be aware of the composition of a scene. Referring to the Shere Khan/Kaa sequence in Jungle Book. Milt has set it up so you only look at one thing at a time. 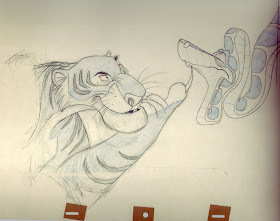 He crafted the scene so that when Shere Khan pops open his claws, everyone is looking there. Nothing else is moving. (Waste of time to always be moving all the background characters). Your eye reacts to movement, color and contrast. Use those to direct your audience’s attention. Fred Astaire is good at that - staging a dance so you look exactly at what he wants you to. The life of a scene usually leads him from a very emotional point to a very technical one. Emotional as he figures out the acting; technical as he makes it look good. You need to block things out with enough juice to communicate your intentions to the director. Example: The Pinocchio scene with the tail popping out to point out: clear line of action and a clean and natural balance and rhythm to the poses. Don't have a whole bunch of different attitudes within a scene. Usually there is one or two major poses per scene. 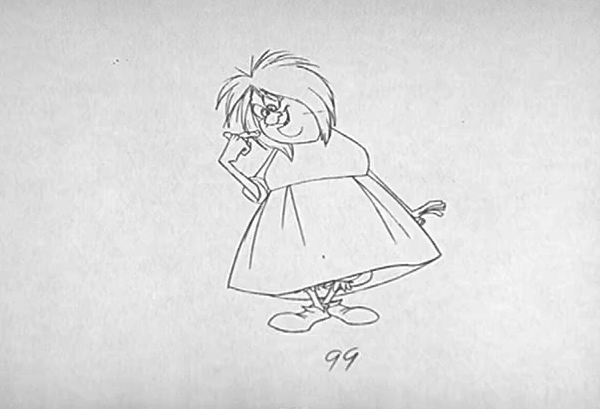 Horton as an example of animation having too much to it. Loved the scenes with JoJo because you could actually focus on what he was doing. Remember the timing within a scene - make sure you have enough time to do the action that you want. Don’t force something in there just because you think it looks cool. • Milt for pure draftsmanship, posing and technique. • Frank for truthful acting. • Ward for shear graphic ingenuity. 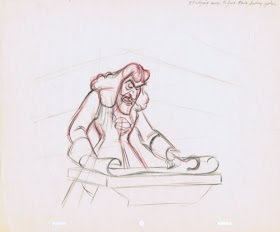 Ward Kimball is the one that constantly pulls James away Milt and reminds him that animation is not real; you can actually do whatever you want. If you find yourself watching a greatly acted scene but not knowing exactly why it works think, how else could they have done it? That helps you figure out what kind of preparation they had to go through and helps you to see the kinds of choices that had to be made. Frank Thomas always considered the “actor’s animator.” While Milt used poses to communicate his intentions, often focusing on a single drawing, Frank used actions to communicate the intentions of his scenes. Milt’s scenes tend to have very strong “tentpole” poses; what happens inbetween them is often the same motion (headshakes, hand gestures, etc.). Frank was more concerned with the feeling and flow through a scene. 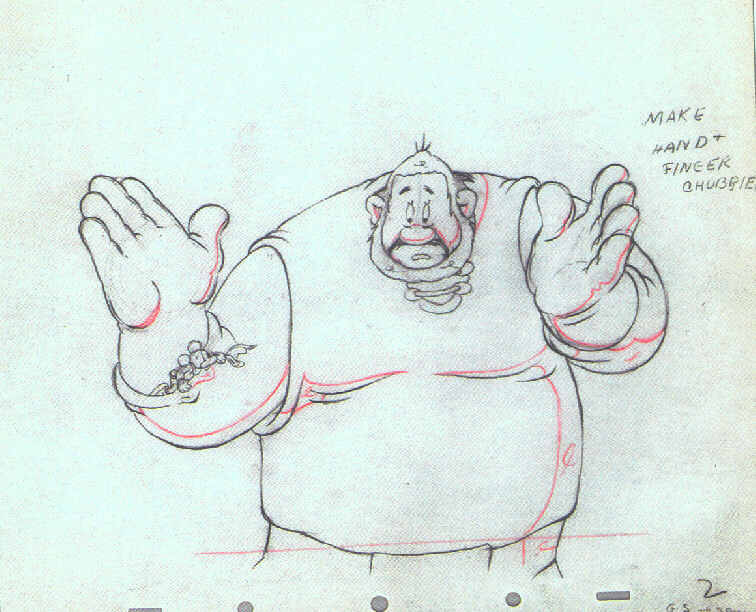 He made drawings that wouldn’t necessarily work on a model sheet, but in motion they feel right. Showed a sequence with Madam Mim from The Sword in the Stone where she speaks to Wart on the table. The “one little finger” and “ugly” scenes were Milt and they look very familiar (move like other characters). Beautiful but reminiscent. Frank’s scene is the one directly after where she walks by Wart looking down at him from the corner of her eye. Milt would probably never have done this kind of acting, but it feels more truthful to the scene. 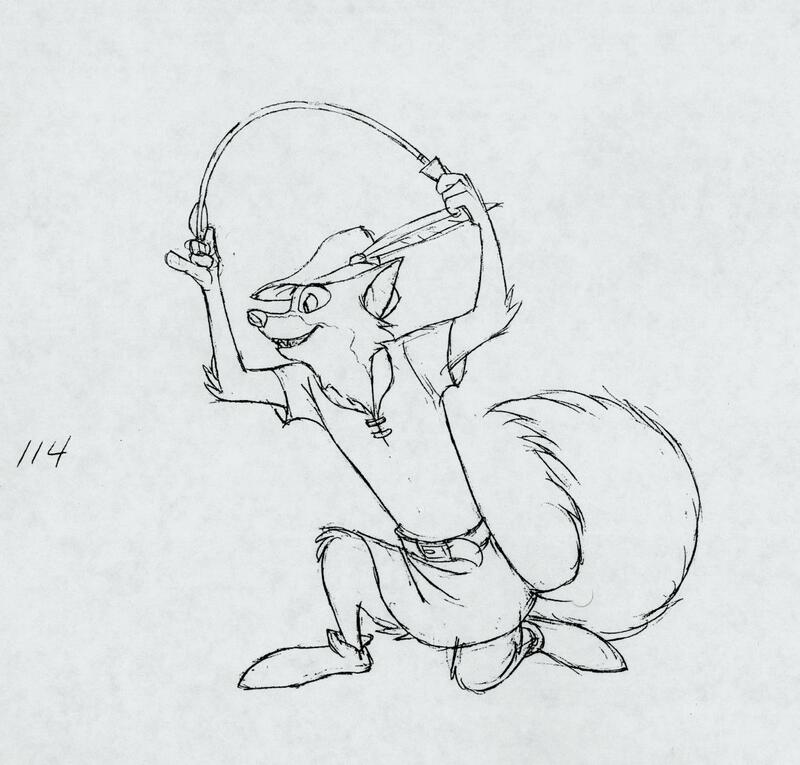 Showed sequences from Jungle Book comparing the different ways of approaching animation on Baloo. The scene of Baloo screaming “Bagheera!” at the edge of the cliff was Milt’s. Baloo gets up and starts punching the air. Milt seems more considered with making awesome drawings that animate beautifully. Seems to get carried away with the mouth shapes on “mangy monkey.” Frank probably would’ve used that opportunity to have Baloo connect more with Bagheera. Example; the scene of Baloo waking up Mowgli - very different acting choices. fascinating read, I really enjoyed that. Such interesting stuff. 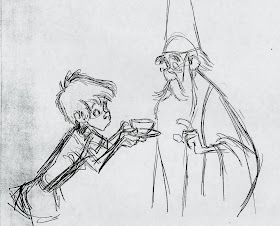 Great post about great animators. MAAC Animation Institute Lucknow one of the Best Animation Center in Lucknow offering 3D Animation Course, VFX Courses in Lucknow, Game Designing Course in Lucknow and Graphic Design & Multimedia Courses . For Joining Contact Now.. Thanks for sharing the valuable information,This is useful information for animation learners.